This article was performed on an iPhone SE, in iOS 10.3.2. 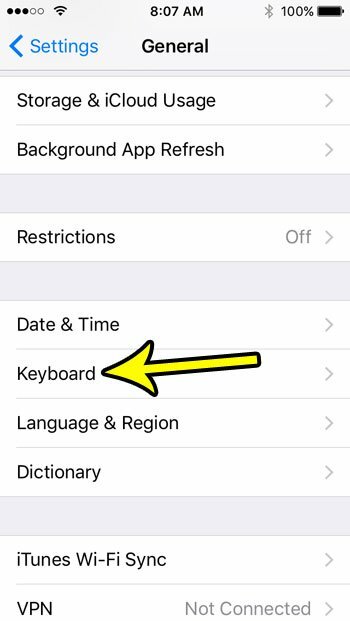 Completing these steps will remove the small microphone that is located to the left of the space bar in apps like Messages or Mail that use the default iPhone keyboard. Step 4: Scroll to the bottom of the menu and touch the button to the right of Enable Dictation. 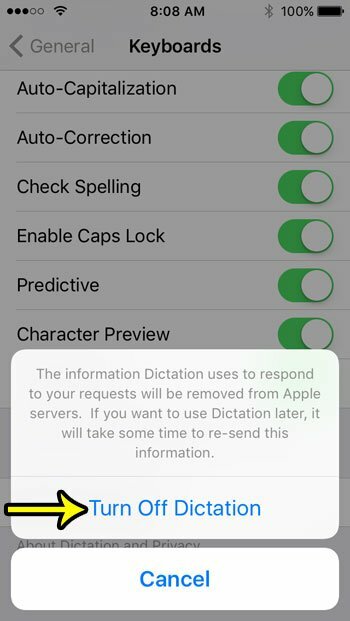 Step 5: Tap the Turn Off Dictation button to confirm that you want to disable this setting and remove any associated stored information. Note that dictation is separate from Siri, and you can have one turned on without enabling the other. 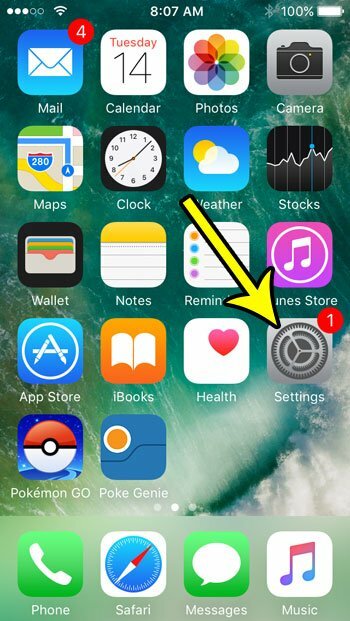 If you also find that the Siri feature on your iPhone SE is becoming a problem, then this article can show you how to disable it. While you are on the Keyboard menu in Step 4 above, you may notice that there are a handful of other options that you can adjust which modify the behavior of the keyboards. This includes things like predictive text, spell checker, auto-correction, and more. 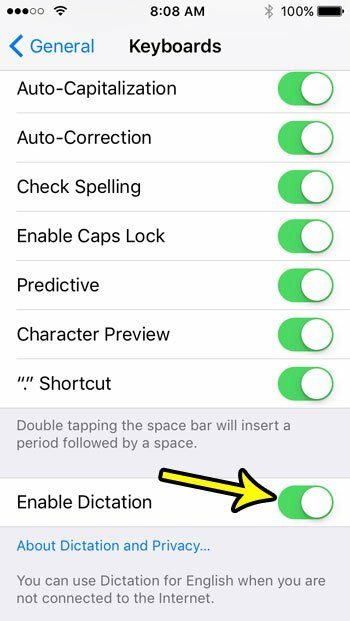 You will find that many of the issues you encounter with your iPhone’s keyboard can be fixed by adjusting these settings. You might also notice that the microphone doesn’t go away immediately sometimes after completing this guide. 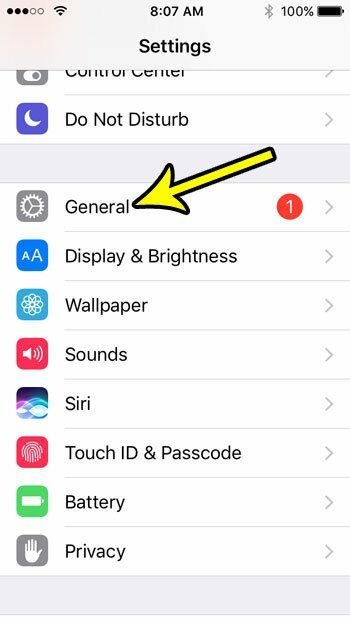 You may need to close the app by double-tapping the Home button, then swiping the app to the top of the screen.